This acoustically designed silicon amplifier dramatically enhances your iPhone 4 or 4S. 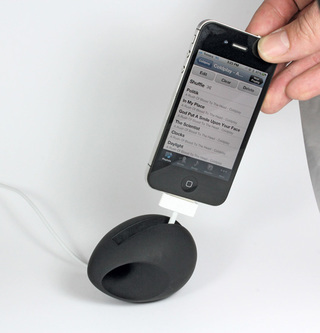 Play music or make handsfree phone calls through this speaker and be shocked by the sound! No batteries required.